Put the mustard, honey, garlic, vinegar, salt and pepper in a bowl. In a large frying pan, cook the bacon pieces until crisp, 3-4 minutes. Clean pan and heat olive oil in the pan. 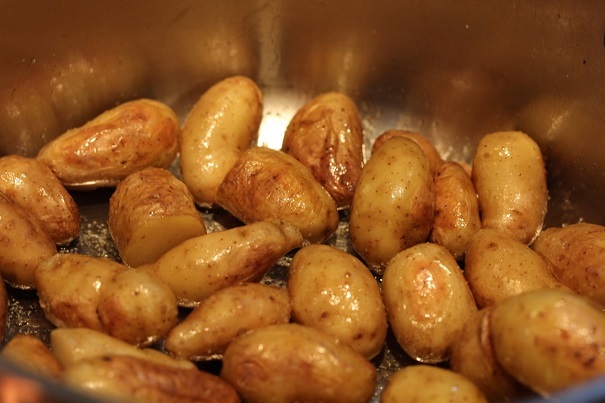 Add potatoes and cook at medium-low heat for thirty minutes or until tender. Boil the asparagus tips in salted water until tender, and drain and run under cold water to stop the cooking. Cut the turkey into small cubes. 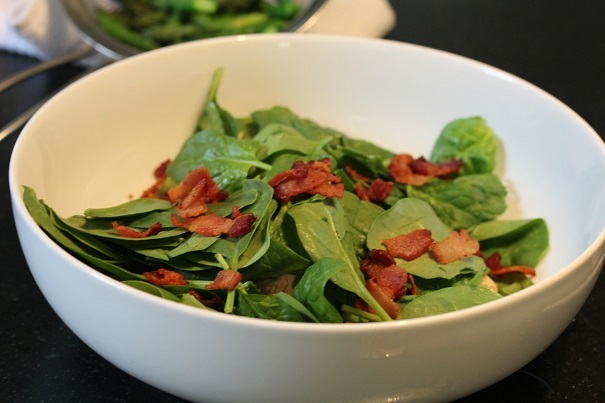 Put spinach in a serving bowl, add the bacon, asparagus, turkey and hot potatoes. Add dressing and mix. Serve immediately.